HERE IT IS, PART 2 OF MY DISCUSSION WITH JOHNNY DOUGLAS. IN THIS SEGMENT, WE TALK ABOUT HIS TIME IN THE BAND KIK TRACEE. YOU CAN ALSO CHECK OUT PART 1. PLEASE ENJOY. Sleaze Roxx: So on that question, I’m going to dive more into Kik Tracee. You joined the band during the recording of ‘No Rules’? Johnny Douglas: They had started it. I think they had done two or three songs. When they decided to make the change, they had only done that many songs. Sleaze Roxx: You being from Houston, I assume that Dana’s [Strum] affiliation with Bobby Rock was how you ended up in Kik Tracee? Johnny Douglas: I don’t know if it was from Bob [Rock] or Blas [Elias] from Slaughter. He’s from Houston as well. All three of us played in different bands around Houston. We all went to different high schools too. We were all within a couple of years of each other. We all have a Dana Strum connection. It’s really weird. Obviously, Bobby with Vinnie Vincent and Dana. Blas with Dana and Slaughter. Then of course me with Kik Tracee and Dana. Dana producing the first Kik Tracee record. Sleaze Roxx: That debut release ‘No Rules’ was on RCA/BMG. I have a bit of a story in regards to that first album. A buddy of mine and I were at the HMV Store on Yonge Street in Toronto just as the album came out. They had a booth set where you could listen to the latest music. As we pulled on the headphones, we were instantly taken by how sonically great the production was. We both made the purchase right there. We loved it. 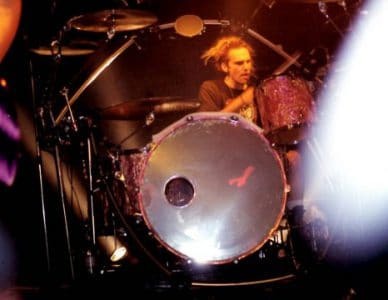 That was how I discovered Kik Tracee, so in terms of that amazing production what do you recall from recording the drums on that album? Johnny Douglas: The biggest thing about the drums that I remember was it was very sporadic because Slaughter was on tour. Dana would go out. Whenever there was a break, he would fly back to L.A. and we’d have studio time booked. We’d go in the studio, and bare in mind my memory is not that great, sometimes we’d go in for a few days, he’d go back to tour. So in the meantime, since I was new to the band, we’d have all this down time, which is unusual when you’re making a record. Usually, you write a body of work and you go in and record it. I think maybe, it worked to my advantage since I was the new guy. We were still writing. Then I got to be involved in some of the writing process. They were already a band together. They had already gotten signed and we still had all this time to get to know each other, jam on the songs that were already going to be recorded, but we would also continue writing, putting together songs. Dana would come back for pre-production, work on those and we’d then go in and record. It was very sporadic. At times, I think it was frustrating for us. We’d have to wait, but I think it also allowed me to get to know the guys and them to get to know me. This gave us the chance to mesh and write a few new songs that ultimately did go on the record. With that said, I agree with you. I think Dana was and is a very creative guy. I think he’s a great producer. I think sonically what he does is really good. He gets nice textures and rich sounding records. 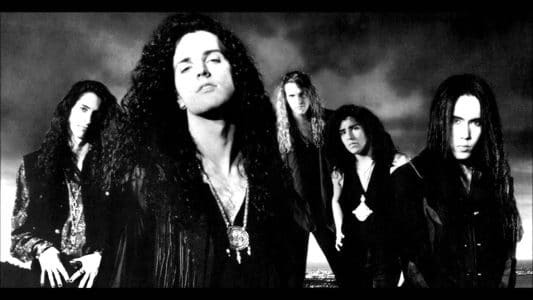 Sleaze Roxx: With his production, between the first Slaughter album and the Kik Tracee album, you can tell that Dana had just come off of that Slaughter album. Sonically, it has a very similar sound. I just think he doesn’t get a lot of credit for his production. I think he should have received more accolades. Johnny Douglas: I agree with that. I think for our second record which was the ‘Field Trip EP’, I think we went in the opposite direction, which in some ways was kind of good, but in other ways… You know so much changed from that first record. That’s when [Nirvana’s] ‘Nevermind’ came out, which as we all know drastically changed the landscape of the music business. So we were certainly affected by that, not only business wise, but also how we were perceived or captured. I think as good as ‘No Rules’ was, or how we felt it was, I don’t believe it actually captured the band how we really were. If you saw us live, we really were a good band. It wasn’t all slick like the Slaughter album or ‘No Rules’ sonically was. I think we were trying to remove some of that slickness with the ‘Field Trip EP.’ Ideally, I would have liked some kind of in between because ‘No Rules’ was exactly the total opposite. With ‘Field Trip’, we just rolled the drum kit in — almost a live album. It was very raw. I do think you get a certain energy and cohesiveness among the band, which was arguably missing from the first record, but then you have all that richness with the creative layers on that one production wise. If we could have married the two albums, that to me would have been the best representation of Kik Tracee. Unfortunately, we never got there as far as being able to do that. 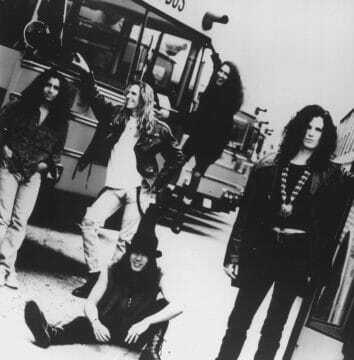 Sleaze Roxx: EMP Records released ‘Big Western Sky’ last year. 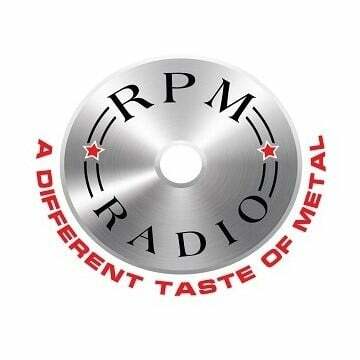 It is a collection of demos, live radio stuff etc. Are you familiar with it? Johnny Douglas: I’ve heard about it, but I’m still waiting on my copy [laughs]. I’ve not seen it, held it or heard it. Sleaze Roxx: That’s kind of where I’m going with this question. The fact that “Don’t Need Rules” on that demo actually sounds more Bang Tango like. The production is different. So, you mentioning about possibly not wanting it so slick, it makes sense to me. I think the demo is a different sounding song then what ended up on the first album. Do you recall there being any apprehension from the other guys in the band towards the direction of ‘No Rules’? Johnny Douglas: I don’t think I can give you an opinion. I wasn’t an original guy, so I wasn’t there. I think there are some demos that I’m on of later stuff, but I don’t know of any demos that I was on for the first record because they were already finished with that process. I’m not sure because I don’t know all the tracks on that ‘Big Western Sky’ album. I think I’m just the wrong guy to answer that because I wasn’t there. Conversely, if you listen to the demos we did for everything that ended up on ‘Field Trip’, the album is almost identical to what the demos were. Is there any on there? I’m not sure. Sleaze Roxx: I believe there is. I’ve only heard the first of the two albums. It was on an advance from EMP, but they did not include the second disc. To answer that, I believe the ‘Field Trip’ demos are on the second disc, but I have not heard them. Johnny Douglas: I think you would find that it’s pretty much exactly as far as arrangements. It didn’t stray very much at all from the released version of ‘Field Trip’. That kind of tells you. Again, maybe some of that is great, but it also tells you, I think in some ways what Dana added to it on the first album production wise. Like everything else, it’s going to be a subjective answer. Maybe you loved what Dana did to the first album, maybe you didn’t! One of those situations where we all have different opinions. Sleaze Roxx: So what about “Cats in the Cradle” that appeared on ‘Big Western Sky”? Do you know much about that? Johnny Douglas: Probably so. That’s not me on “Cats In The Cradle.” I know we toyed with doing it again but Ugly Kid Joe beat us to the punch, so we had to scrap that. We were doing it long before they did it. Sleaze Roxx: That was kind of what I was alluding to. 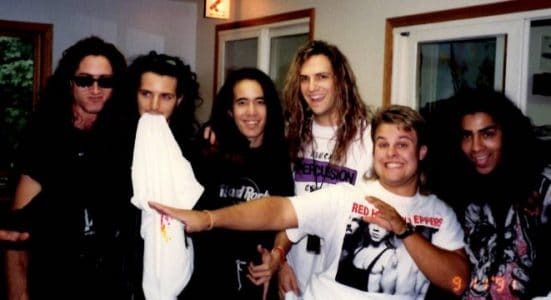 The fact if you knew anything since Ugly Kid Joe threw a curve ball into the equation since that song did really well for them. So doing “Mrs. Robinson”, was that always on the table for you guys or was that the alternative to “Cats In The Cradle”? Johnny Douglas: I heard that demo when the band sent me their demos for me to audition. When I heard that version of “Mrs. Robinson”, I loved it. I thought it was so twisted. For me, that’s what sold the band. I liked the originals and I know I heard “Don’t Need Rules.” It was already recorded, but not finished. Those were the two demos I heard, but can’t remember the others. To me “Mrs. Robinson”, as I said was twisted and I thought it was a great version. An odd pick for a rock band, which I loved. If I remember correctly, RCA was afraid to release it as a single. I thought that should have been our first single for obvious reasons with the whole remake thing which worked for a lot of other bands. I just thought that’s what we needed to come out of the gate with. They didn’t and years later, if you remember, The Lemonheads did “Mrs. Robinson” but they did it no different then Simon & Garfunkel. There was no twist. Nothing. They had a big hit with it. Sleaze Roxx: I wanted to show you this [Holds up the original Kik Tracee Press Kit with Bio and Photo]. As I was reading through the bio, it says about you, “Texas native Johnny Douglas, coming from Houston was the last to join the band. Johnny’s thundering, flamboyant drum style was a welcome bonus to Kik Tracee. Johnny’s artistic vision and aggressive delivery behind the kit was the final element to make Kik Tracee complete. No auditions were ever held!” Is that true? Johnny Douglas: I don’t know if that’s accurate. I’m pretty sure I auditioned. I’m also pretty sure they auditioned a couple [of] other guys too. I flew out there, since I was living here at home in Houston, for the audition. I think I came back the next day. It went well and we had played some more. They told me right away. I didn’t fly home and wait for it. It felt right to all of us, but I’m pretty sure they listened to a few other guys. Sleaze Roxx: There are a few other things in the bio that are funny. There is one about how the band’s name was chosen. Johnny Douglas: Yeah, that was before me too! Johnny Douglas: I don’t know how true that is either. That’s the story I always heard! Sleaze Roxx: There is another section that states singer Stephen Shareaux had an old Indian Head Dress that was once worn on stage by Ozzy Osbourne. Johnny Douglas: Really? I don’t know about that one. I know he had an Indian Head Dress. I don’t remember any Ozzy thing but we were managed by Sharon [Osbourne] the first half year. It’s possible, but I don’t know. 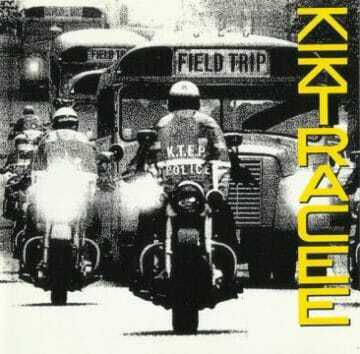 Sleaze Roxx: I can’t recall the touring capacity of Kik Tracee. Who you guys toured with. Did you open for a bigger act? Did you do a club tour? Johnny Douglas: It was tough. The music business is tough and it was certainly tough back then, so we never got a great opening slot on a big tour. I think we opened for bands a few places, but for us, it was headlining clubs or smaller venues across the U.S. and I think a little bit of Canada if I remember correctly. We never got a good support slot. 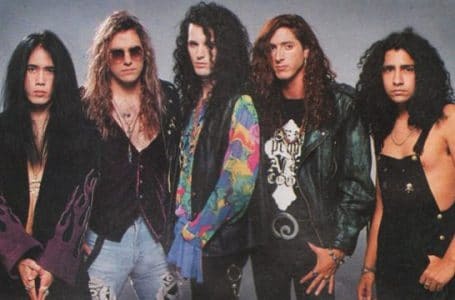 Sleaze Roxx: I guess in terms of success, that could be another thing that could have been a downfall for Kik Tracee was not ever getting that great opening slot. Johnny Douglas: Absolutely. We definitely wanted it. Again, the timing of it with ‘Nevermind.’ I distinctly remember touring on that first album, which would have been ’91 and part of ’92. You’d play a show, meet fans and everybody’s just talking about Nirvana. It was a groundbreaking movement. There was this tremendous buzz on the street, not hype from the labels either. It was from the fans up. We witnessed it and lived it. So I think for every band, even established bands, struggled and/or broke up not too long after, so for unestablished bands like us… I remember, when we finally put ‘No Rules’ to bed and we weren’t ready to give up, but the label certainly was. They said, “Okay guys, it’s time to do another record.” At that point, I remember sales being at 150,000 units, which is not too bad. It was an interesting time in the music business. I think we were — I don’t want to say a victim of it and I’m not blaming everything on Nirvana — but certainly it was a dramatic shift. What was popular and what was deemed cool. Everything L.A. — anybody with long hair, which of course we had long hair, wasn’t cool anymore. The labels saw the ground swell of Nirvana. They all gravitated towards that. Seattle was now where everything was pointed to. All the new bands were from over there. It’s definitely what they did with L.A. in the early ’80s. Anybody that was playing the Strip. When Mötley Crüe came out, they signed every other band that looked or sounded like them. It’s the pattern of the business. Sleaze Roxx: It’s funny now, because there is so much music on the internet, but it’s just not the same. Who is going to fill the arenas in twenty years from now? Johnny Douglas: I’ll tell you who… my son’s band. The Contagious out of Houston. They are a rock band from Montgomery, Texas [USA]. And big things are happening for them! Johnny Douglas: Yeah, you’ll have to look out for that. They’re a three piece. You always hate to compare it to other bands because they’re young, but it’s kind of Green Day, a dash of Blink 182 with some Foo Fighters thrown in there. It’s very hooky. Power trio rock n’ roll — guitar, bass and drums. They’re playing the instruments up there. There are no turn tables, no hard drives. They sing, they play and they write the tunes. 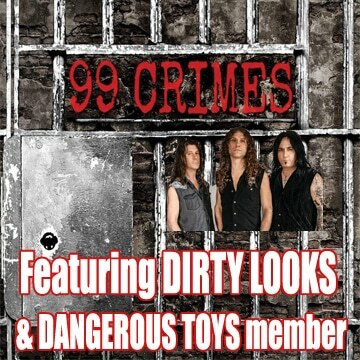 Sleaze Roxx: What label will they be on? Johnny Douglas: Sorry, can’t give you the details at this time. But when I can, I expect you to interview them! Sleaze Roxx: Very cool. He’s carrying on your legacy. Tell me about the beginnings of the third Kik Tracee album “Center Of A Tension.” You started working with producer Garth Richardson. Did you go into the studio to record? Johnny Douglas: We did not go into the studio. We had a whole record written. Garth was going to produce and we went into pre-production. We recorded everything in our rehearsal room. A lot of those demos you hear on ‘Big Western Sky’ and I know for the ones that I was involved in, we did on a four track cassette player in an apartment. That’s how we would demo up all the songs, certainly for ‘Field Trip’ and I think even a few at the tail end. A song like “Soul Shaker” that I was involved in the writing of, we wrote that and demo’d it in an apartment on a four track cassette. Now getting to ‘Center Of A Tension’, that would be the third release. With Garth, we did pre-production. I think we did it on 16 track demos in a rehearsal studio to get that really flushed out before we would get into an expensive studio and really do it right. Those songs exist, but I really don’t know what’s on ‘Big Western Sky.’ I have them here at home on cassette from 1993. A few years back, I did digitize them just for posterity sake. Who has a cassette deck anymore? They are in my iTunes playlist. I’m addicted to shuffle. Every once in awhile, one will pop up. There was some interesting stuff. It will probably surface at some point. Maybe EMP will remaster it and release it? I don’t know? 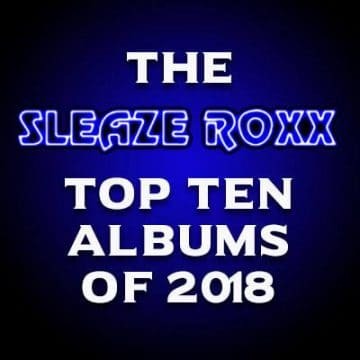 Sleaze Roxx: How many tracks would you say were recorded? Was it a full album worth of material? Johnny Douglas: Oh yeah. It was probably nine or ten tracks. It was complete. We were ready to get in the studio and record. 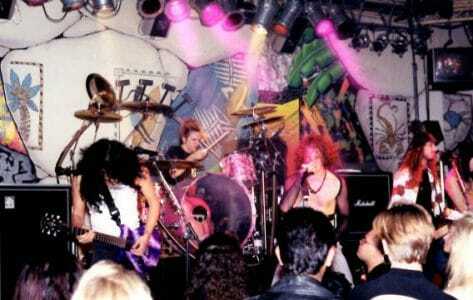 Sleaze Roxx: What happened from there? Did you guys pull the plug or was it a record company decision to move on from the band that led to your demise? Johnny Douglas: We kind of pulled the plug. It’s a very… in relation to the album title, I think it’s a great play on words. It was very apropos, where we had internal tension within the band. I will never badmouth any of my band members of Kik Tracee. I’ve got nothing but love and respect for the guys, the music and the memories. There was just a lot of things going on internally. You compound that with the collective disappointment in the business of the band, which we already talked about. The change of the culture and us trying to rebrand ourselves. I know we got voted by Rolling Stone Magazine as one of the top fifty “Hair Bands.” It was very flattering, but for me looking back on it, I don’t consider us that. The “Hair Band” thing is typically lumped into the ’80s. Our record didn’t even come out until ’91. First of all, I didn’t feel we were an ’80s hair metal band, but I know we were packaged that way. That first album was packaged by RCA like everything else. Your Slaughter’s, your Firehouse’s, etc. Every other rock band for that time. That’s how we were marketed. In retrospect, I guess that’s how we looked. We just didn’t feel that. For us to try and bridge that gap or rebrand ourselves was a struggle looking at it in hindsight. 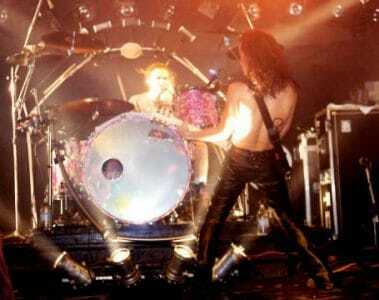 Sleaze Roxx: I thought that when ‘No Rules’ came out, that it would be revolutionary. I may not have thought Kik Tracee was necessarily a “Hair Band.” I thought the music was different. I was hoping this was the direction that music would go in. Instead, it went the total opposite. With Stephen’s voice, it was different. There was a lot of dynamic within the music too. So I do agree with what you are saying. There are a lot of bands that I wouldn’t lump into the “Hair Band” persona. 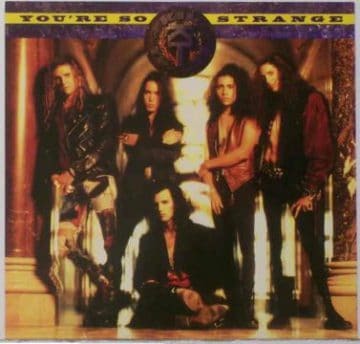 Eddie Trunk recently went off about that very subject and asked the question about Britny Fox. More or less he said and I quote it loosely, “If it wasn’t for the time that Britny Fox came out, possibly people would take them more seriously!” It made sense because if you’re termed as a “Hair Band”, people laugh at that. 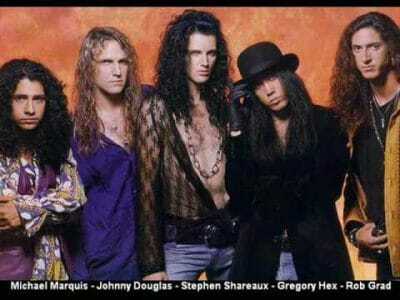 You don’t hear ’70s rock bands being termed “Hair Bands.” They all had long hair. I really think there is a fine line on that subject. Johnny Douglas: It’s a convenient label. It does bring up the stereotype and stigma where you think, “Oh ’80s Hair Metal!” Like it or not, we are lumped in it. Sleaze Roxx: It’s really too bad because there is so much great music. In every genre, there is good and bad. We could debate this subject forever. After Kik Tracee, you alluded to the fact that you got out of music. Johnny Douglas: Kik Tracee dissolved. Like I said, it was a very disappointing time. 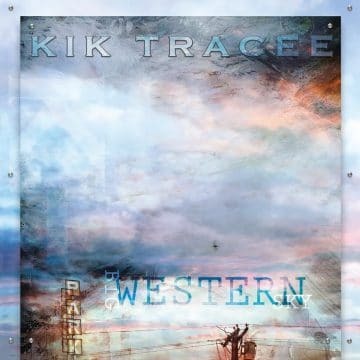 I came back home and I found that my phone was either ringing for artwork, like I said I’ve always done that, or drumming gigs for “Baby Bands.” More bands like Kik Tracee. At that time, I didn’t have it in me. How else can I say it? It was the first time in my life where I didn’t know if I wanted to play drums anymore. So when I came back home here, there were these “Baby Band” offers. People wanting to put together another band. So not having it in me, I was just painting. At that point, having known the ZZ Top guys, Frank Beard knew what was going on with me. He just said, “Hey, come on the road and be my drum tech!” I didn’t really have anything else going on at the time so I figured, “Okay!” I did that. It was interesting! I finished that tour and I came home thinking, “I never need to do that again” [laughs]! Turns out I had money in the bank for basically the first time in my life. That allowed me to stay home for a couple of years and I painted. That money kept me afloat and I survived. ZZ Top did another record. They called me and I said, “I don’t know! I don’t think I want to go!” They really wanted me. They pointed the money gun at me. Next thing I know, it’s 20 years later. I’m still juggling the two. Obviously there are parts of it that I like. I love music. I love the drums. I certainly love creating the drum kits. It’s funny being a drum tech because I create drums for people I don’t necessarily tech for. I’m still in the music business. I still play. I support my family and I provide for them. I still paint — canvas portraits, drums, guitars, etc. I’m still doing what I love basically. Sleaze Roxx: Before I let you go, I have one more question. 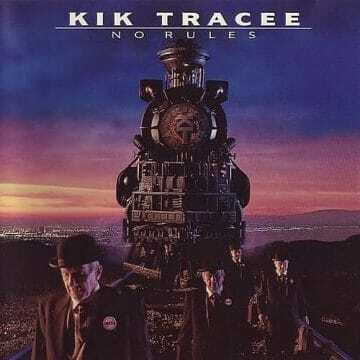 The album cover for ‘No Rules’,was the train actually real? Johnny Douglas: I wish we had it. I don’t know where that ended up. They built a model. If I remember correctly, it was big. Twenty four inches tall. It was a scale model of just what you see. It was built, then photographed by Hugh Syme. He had a professional model maker build that from scratch. I wish I had kept it. 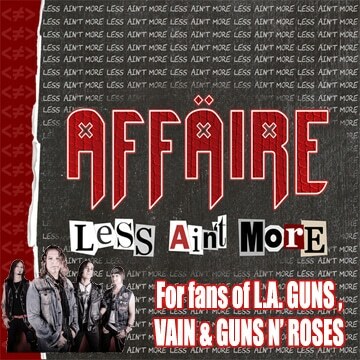 Sleaze Roxx: The cover itself, was the background actually there? 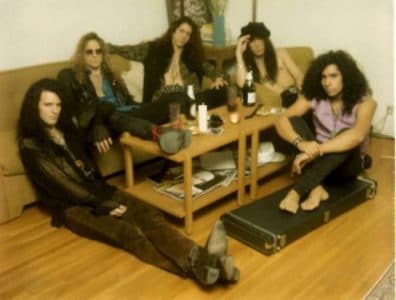 Sleaze Roxx: Were the five guys taken with the train? Johnny Douglas: Let me see the cover? I haven’t seen it in awhile. There are multiple guys. That is all the same guy. I don’t know what program they used, but I think that’s pre Photoshop. Basically they used something like Photoshop, where they took a picture of that model, that train, very well lit. The reason it looks so good is because it’s not a painting. It was a three dimensional model that they went and photographed. I think they layered that background behind it, which looks like an L.A. skyline. Then they took individual shots of that guy. They built it all with what may have been an early rendition of Photoshop. Sleaze Roxx: Today, with the computer technology, you wouldn’t get that. They can Photoshop anything now. I think the concept of the whole cover is very cool. I am sure that train would not have been cheap. Sleaze Roxx: The funny thing is to coincide with the ‘No Rules’ title, they put these little pins on the five guys. Personally, I think ‘Generation Express’ is a better title. Johnny Douglas: That’s what we wanted. That’s what we thought. That’s what the cover was built for. Sleaze Roxx: Thanks very much. Johnny Douglas: Thank you! See ya! Kik Tracee ~ You’re So Strange !!! !